It seems that we usually just sauté our greens with garlic. The sautéed mustard greens above was no exception. We simply heat up some oil, add garlic, then the greens until they're the desired tenderness. Delicious, yes, but perhaps a little change is in order. Mustard greens have a very strong flavor. Bitter, pungent, and packs quite a bite. I must say that sometimes even the bitterness is too much for me, and with sauteed greens as above, I usually either fry, poach, or scramble an egg to eat with them. The egg mellows out the bitterness. These flavors would also be nicely muted by charred goodness from the grill. Mustard greens on the grill. Some endive trying to get their 15 minutes of fame. Grilling lent a smoky-sweet aroma to the greens, counteracting their bitterness. I absolutely love running greens through the high heat of the grill. That "through-the-fire" experience just leaves them soft, mellow, and sweet. Then, just to change it up, and since we had both century eggs and salted duck eggs hanging around, JS made this three-egg version. 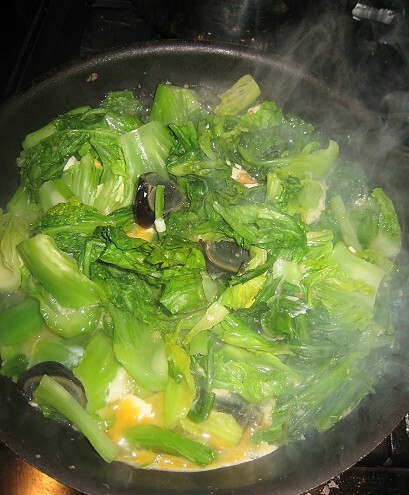 Basically, I just sauté the greens as the first method. When the mustard greens are about the tenderness I like, I beat one egg. I also peel a century egg and a preserved duck egg. 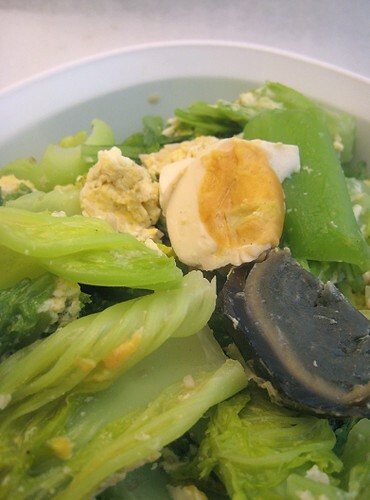 The century egg and the preserved duck eggs do not need to be cooked: they are good straight out of the fridge. Stir in the beaten egg and add the chopped up century and preserved duck eggs. We're submitting this post to Weekend Herb Blogging, a world-wide food blogging event (created by Kalyn's Kitchen, now maintained by Haalo of Cook (almost) Anything at Least Once) with the goal of helping each other learn about cooking with herbs and plant ingredients. If you'd like to participate, see who's hosting next week. 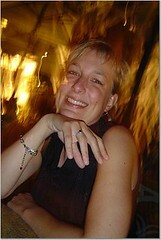 WHB is hosted this week by Marija of the superb blog Palachinka. Wonderful! I love mustard greens...I had thought of doing it pickled three ways, but this looks fabulous. Huh. 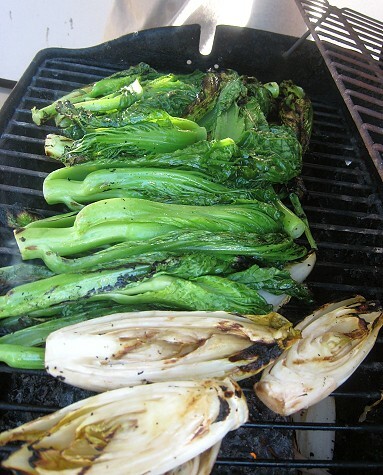 Never thought of grilling the gai choy. Neat idea. Seems like it would call for some splash of rice vinegar or mirin, but you say that the grilling makes it sweet already. Gonna have to try it some time! 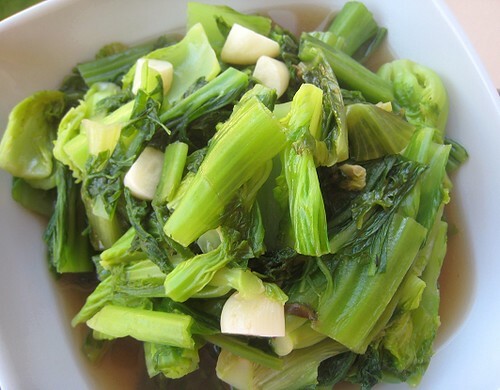 Try adding mustard greens to kiam pung (Chinese Flavored Rice), it is so yummy! This is the first time I hear about mustard greens but I can imagine myself patiently waiting for my plate by your barbaque!!! 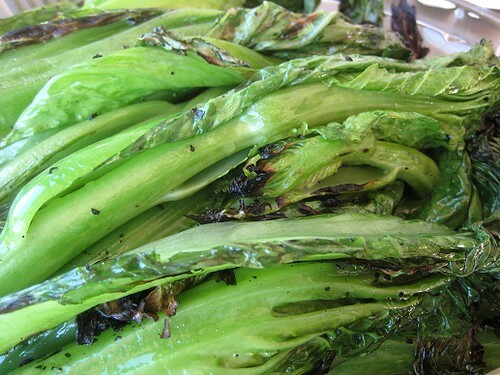 Interesting ways to cook mustard greens! 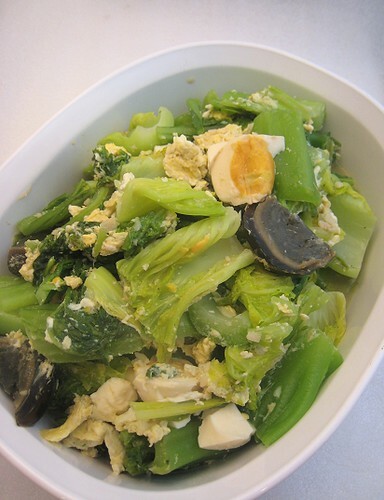 I love them in soup with pork and century egg! I seldom buy these though I see it in supermarkets. Ok...next time I will try. Oh, you reminded us... We've poickled some but have yet to try them out! Oh, have never even thought of that. So basically, it's going to be a "vinaigrette" to marinade the greens before grilling. Hmm, will try this. Oh! Know what, I don't think we've ever had kiam pung with mustard greens. Or if we did, I didn't know! Teehee, thanks. Sometimes it's a tad too bitter for me... But the smoky grill counters that a little. Another idea besides the same ol' boring sauté! Thanks. Hmm, we too have to buy a new grill. The old was decrepit. =) So we are also grill-less right now too! Thank you for the WHB entry! Mustard greens are a totally new plants to me. They look very appetizing. Thanks for the wonderful roundup! Haha, grilling it is! Although. I also tried century egg with much trepidation and discovered that it just tasted like a normal egg! More or less. My favorite is pickled mustard green. If any of you wanna try pickling it let me know I'm glad to show you how to pickle it and some of the best recipe to cook it in or just eat it like pickles.